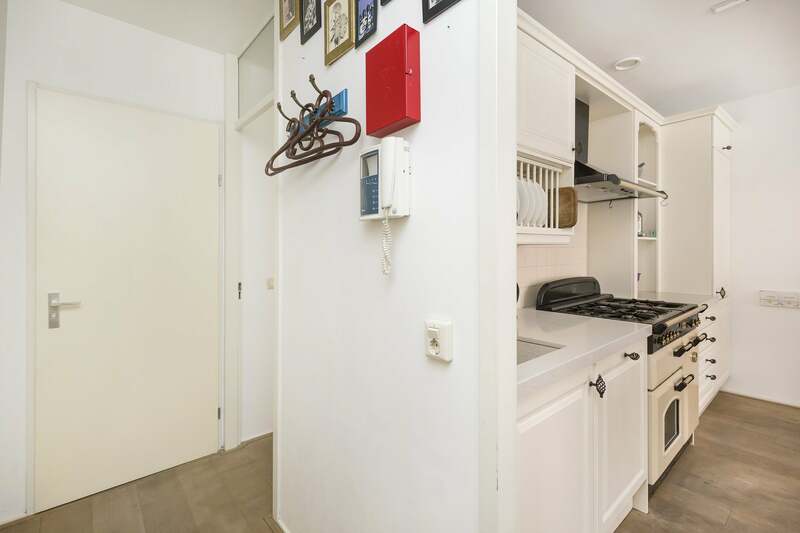 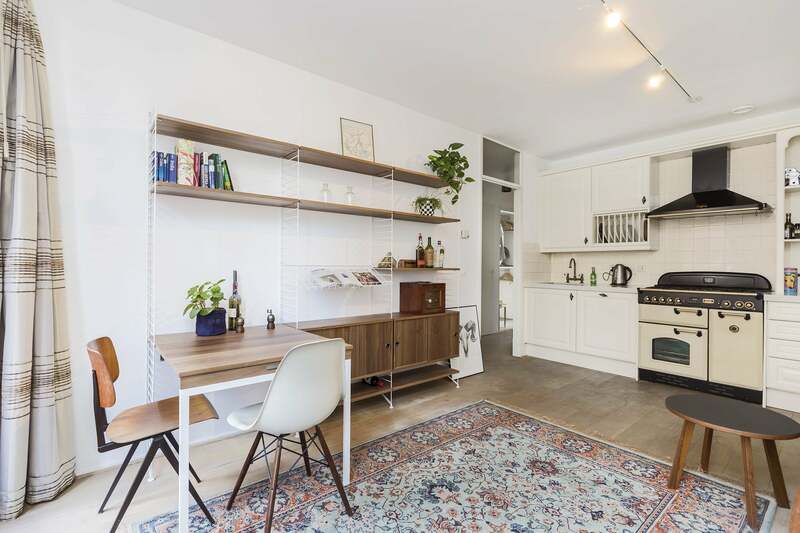 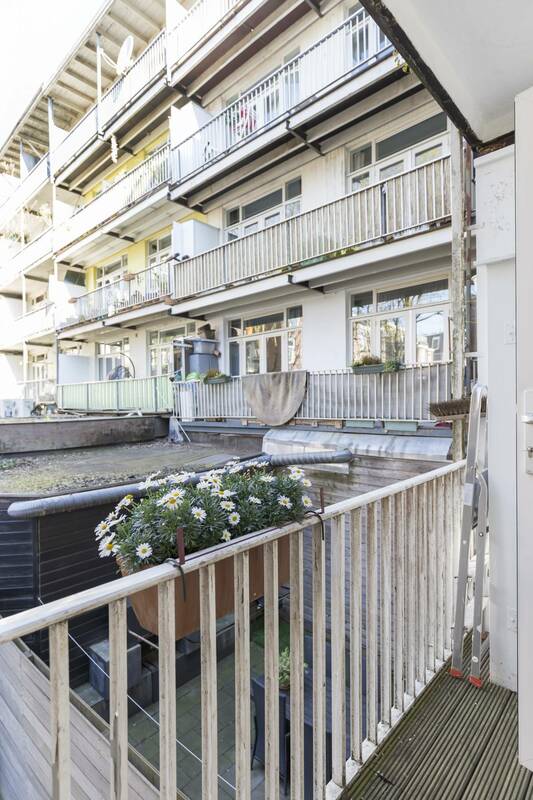 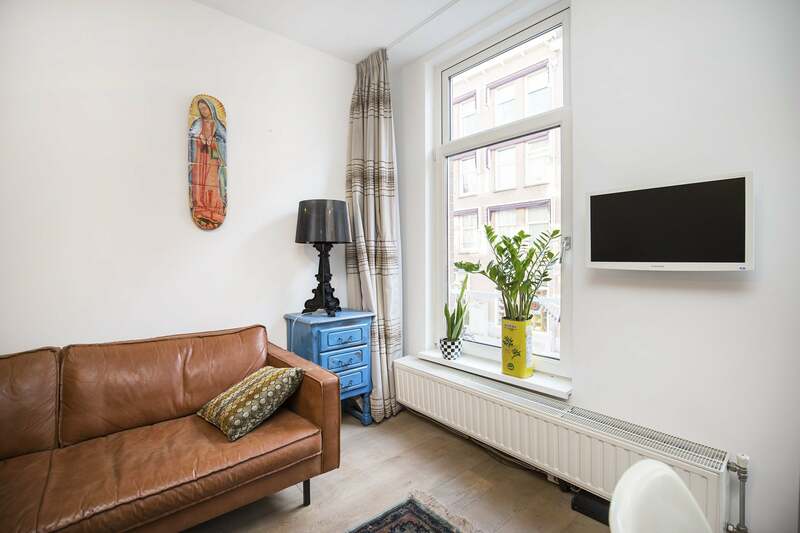 Cosy, charming and full of character, this 2 bedroom apartment makes the perfect Amsterdam base in the popular Schinkelbuurt. 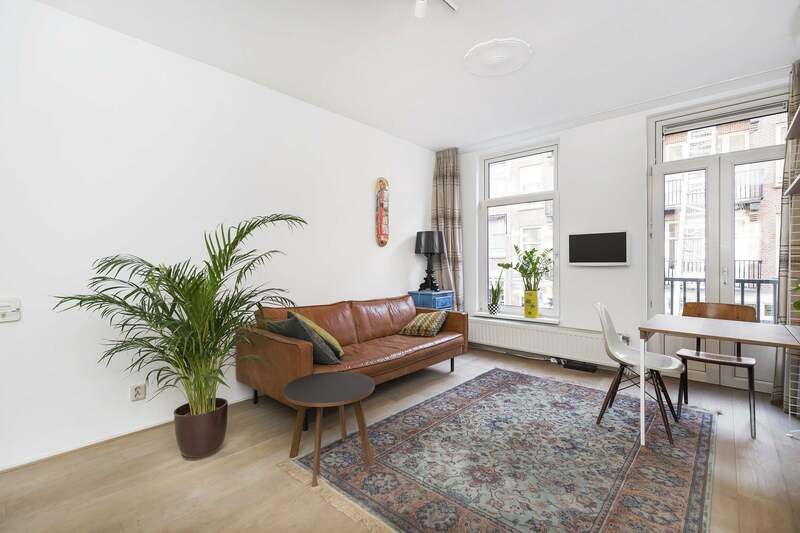 Situated on the 1st floor, this 47m2 lodging features wooden floors, unique fixtures, fresh décor and a sunny balcony. 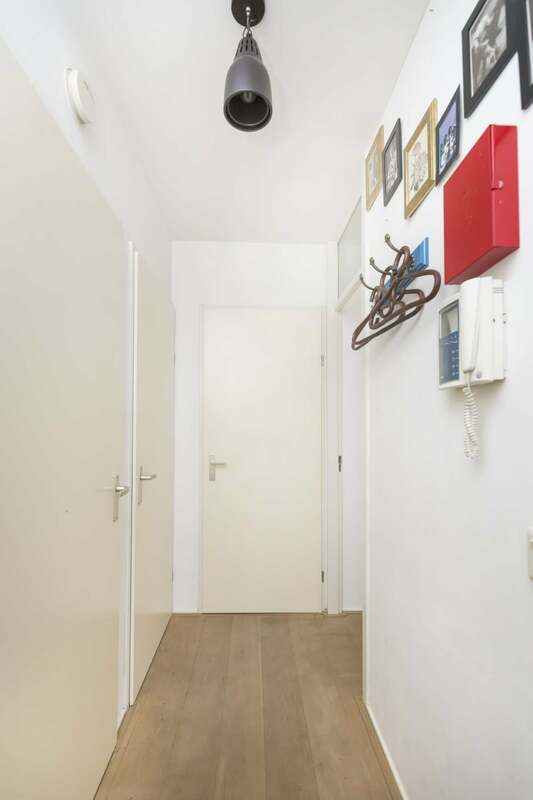 The open living and dining area welcomes after a busy day, offering the ideal spot for relaxation. 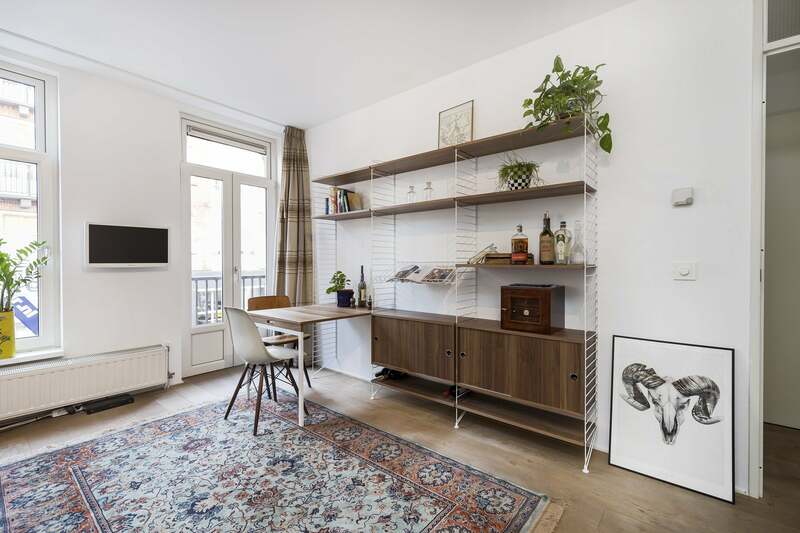 A sofa, flatscreen TV, small dining table and a stylish cabinet occupy the space. 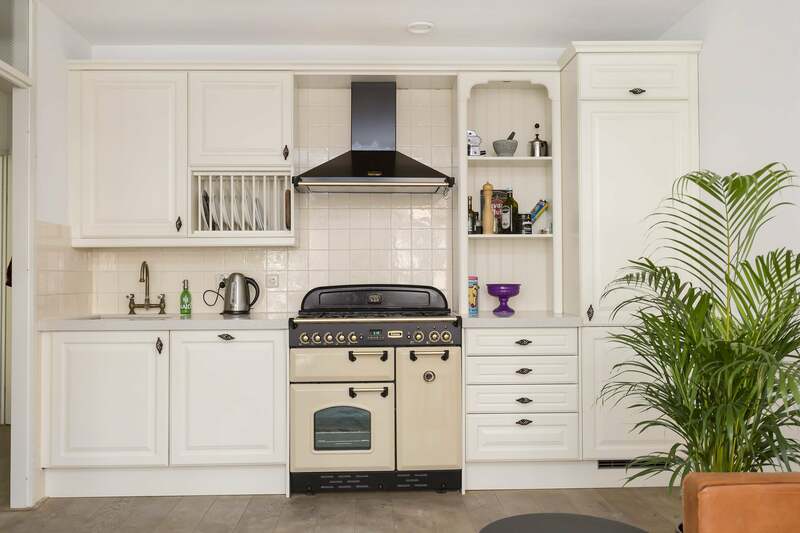 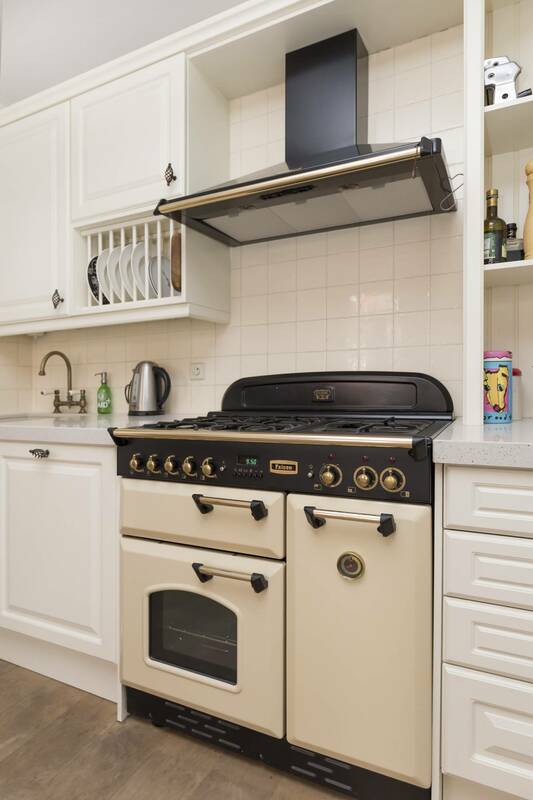 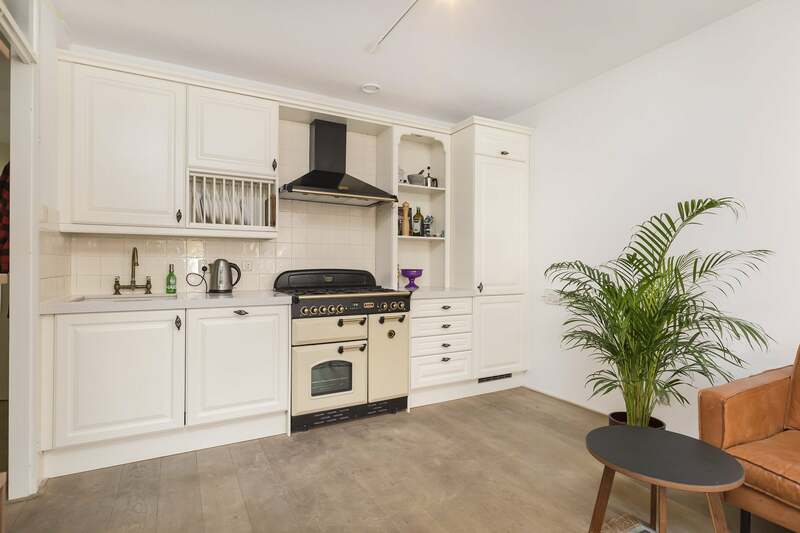 The accompanying kitchen supplies everything you need for home-cooking, including a beautiful oven with hob, a fridge, freezer and a dishwasher. 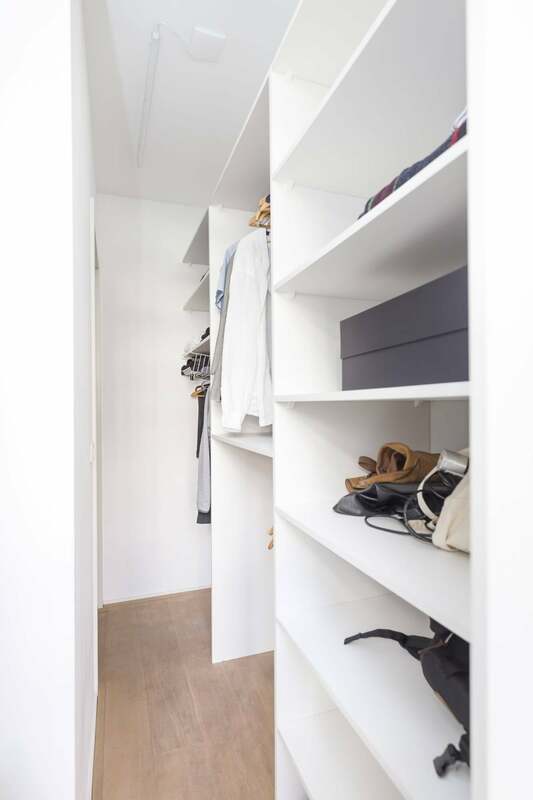 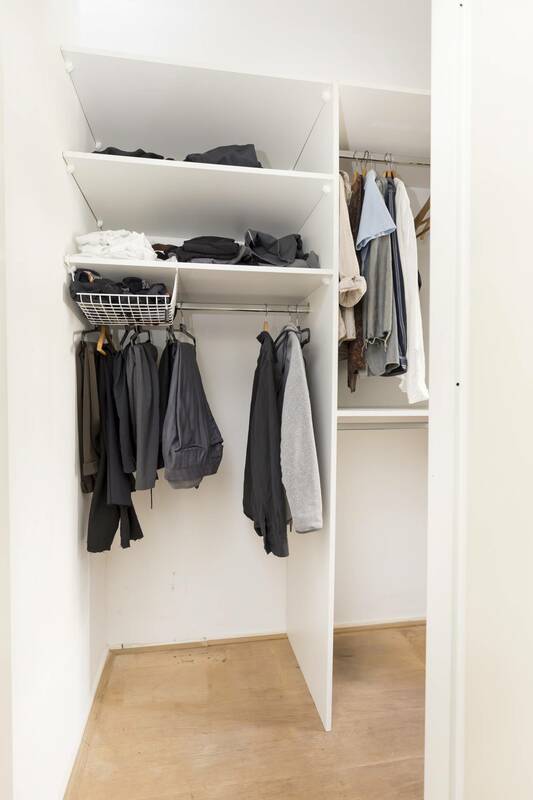 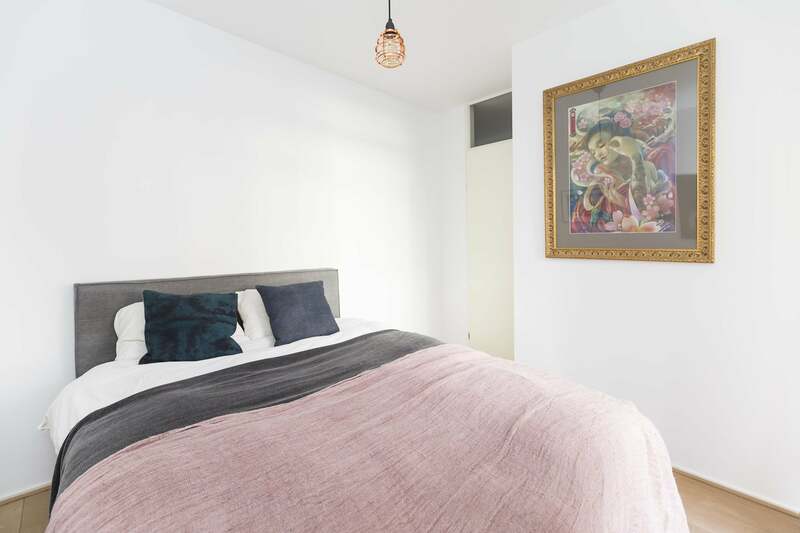 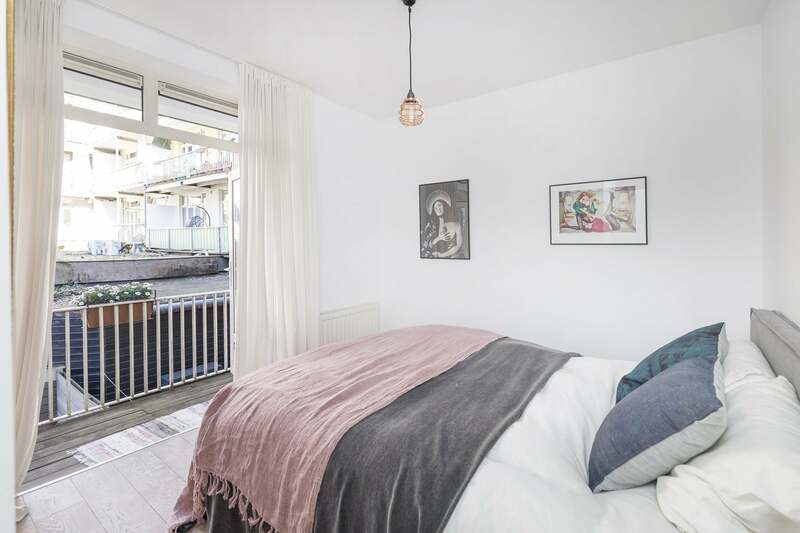 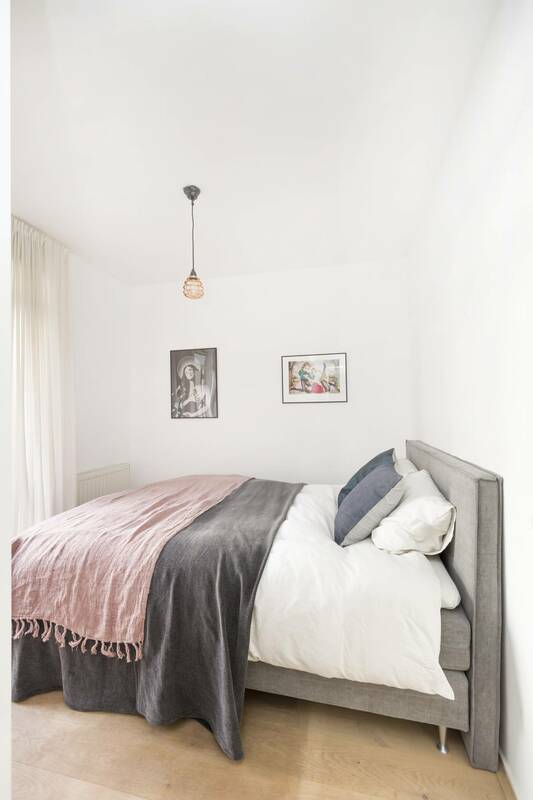 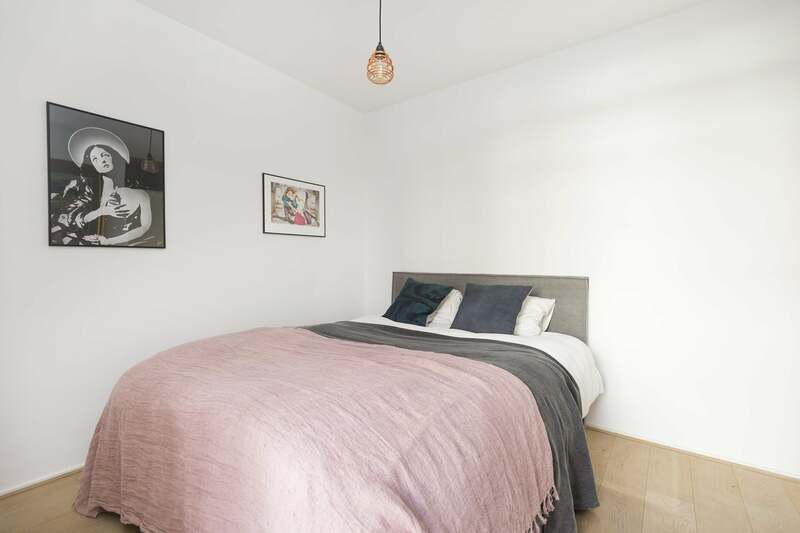 Located at the apartment’s rear for added tranquillity, the two bedrooms consist of a master bedroom with a double bed and a second bedroom currently used as a walk-in wardrobe. 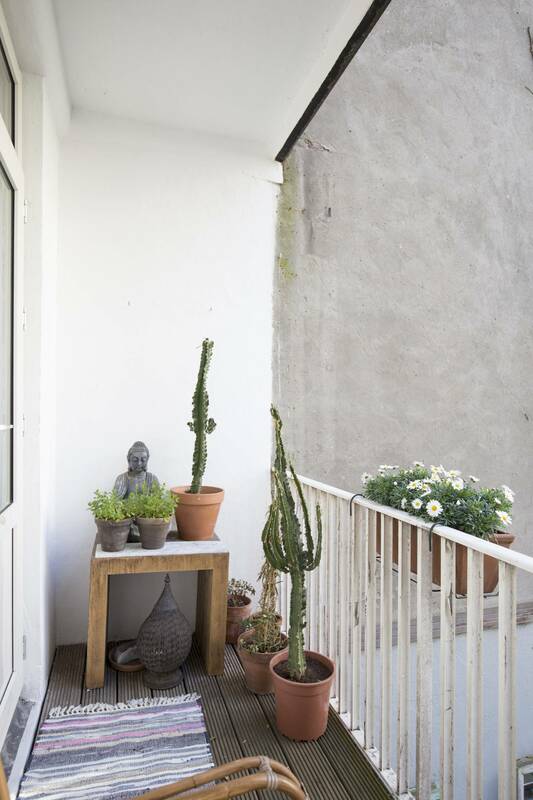 Both rooms grant access to the pleasant south-facing balcony, which provides plenty of sunshine during the warm summer months. 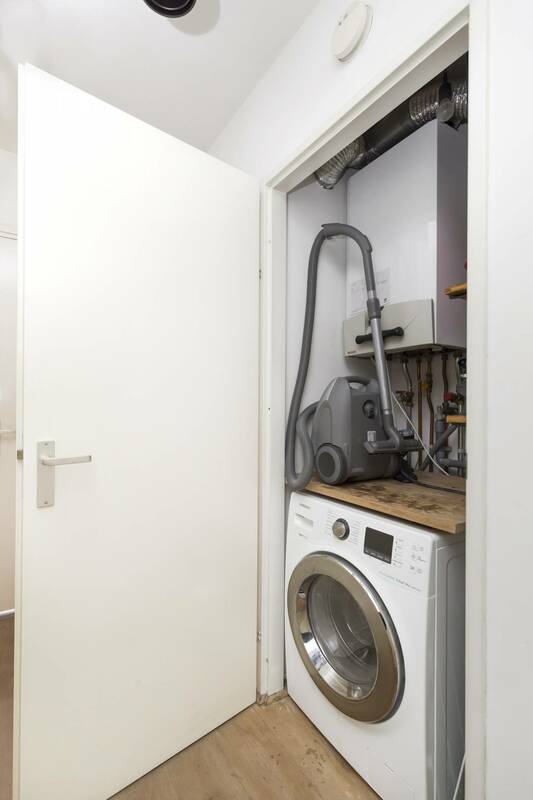 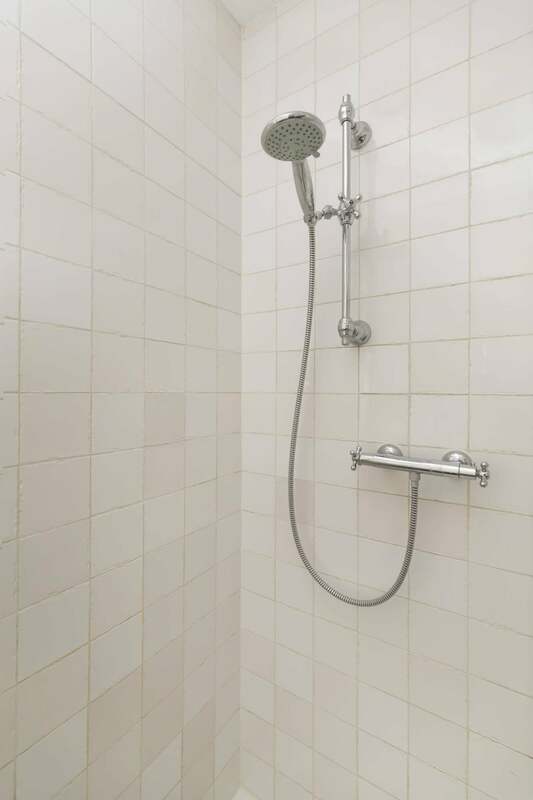 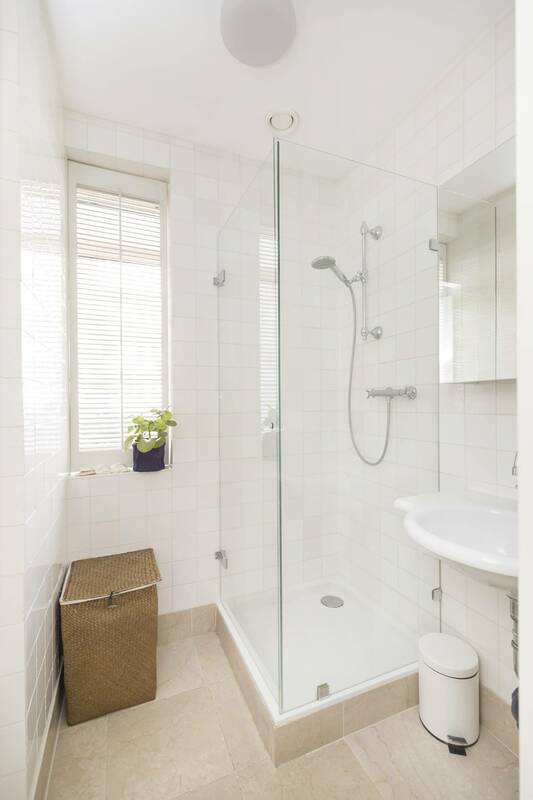 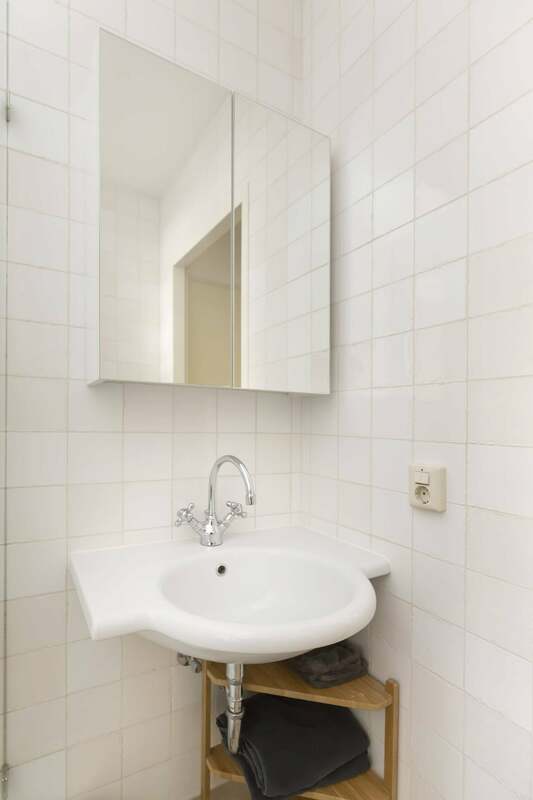 A combined washing machine and dryer is on hand for added convenience and the smart bathroom completes the abode with a sink and a walk-in shower, with the toilet situated separately. 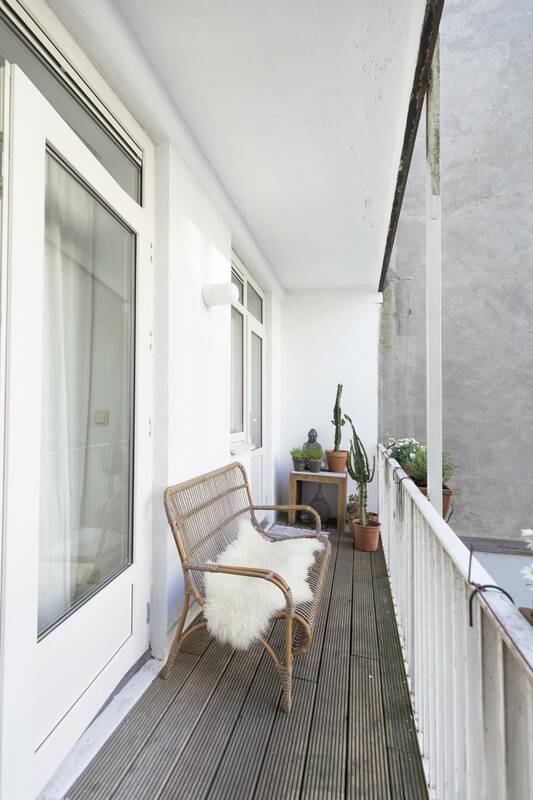 Nestled into the city’s south west corner, the Schinkelbuurt makes a great choice for expats and natives alike. 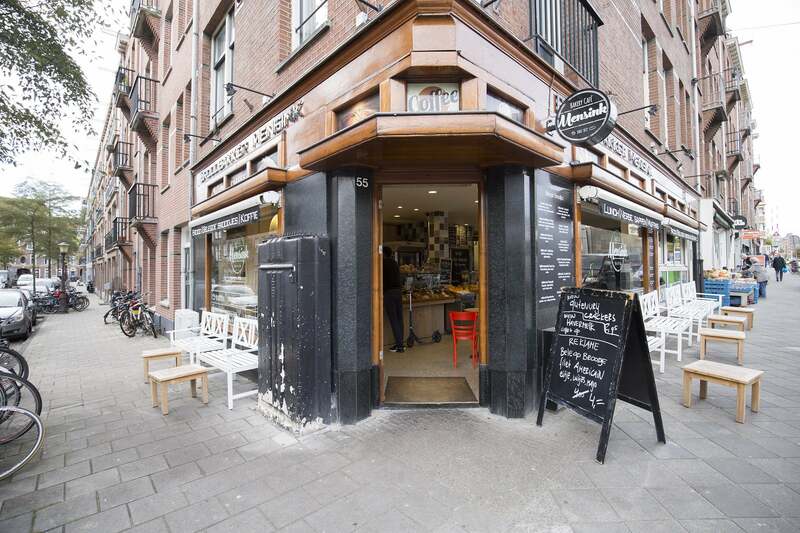 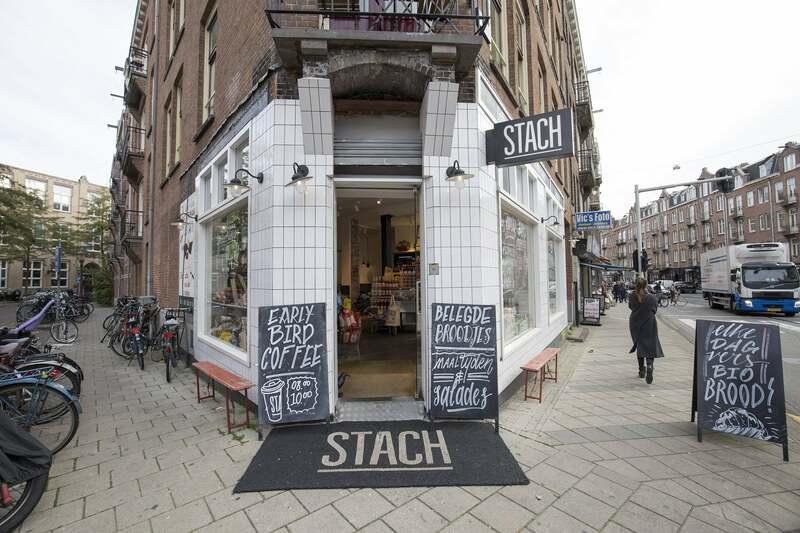 The neighbourhood oozes a friendly and atmospheric vibe, and hosts a wonderful selection of restaurants, cafes and stores, with the nearby Amstelveenseweg overflowing with interesting venues. 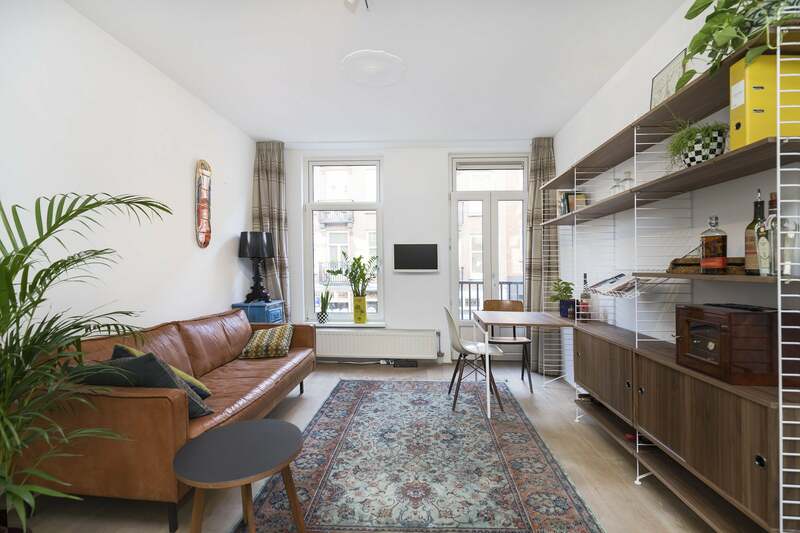 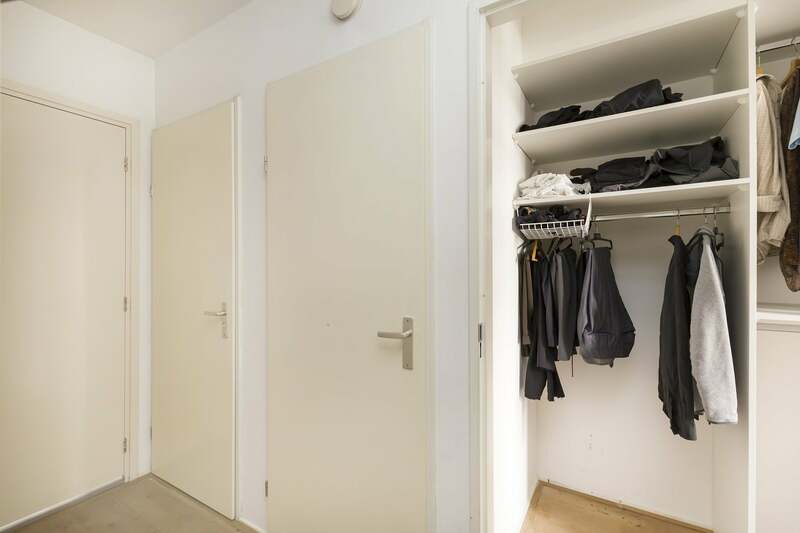 The nearest supermarket resides within 50 metres of the doorstep and the adored Vondelpark is accessible on foot in less than 10 minutes. 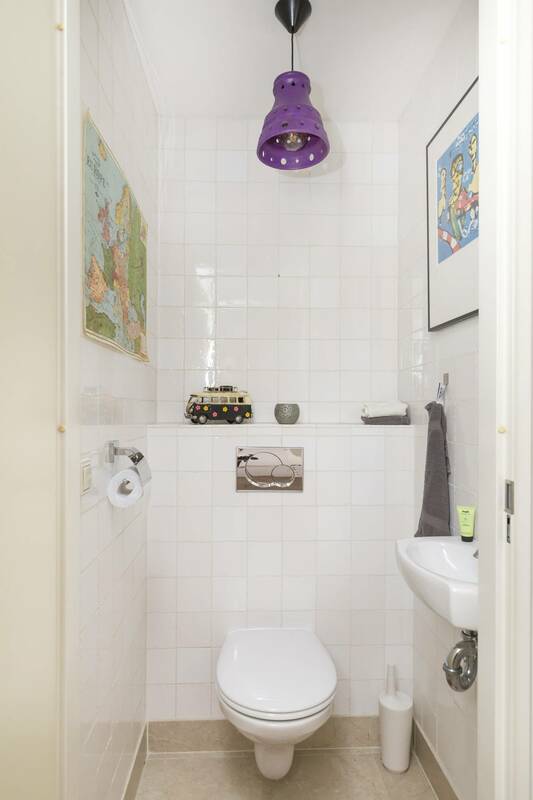 The area is also well served by public transport links, including numerous bus and tram routes, plus the metro. 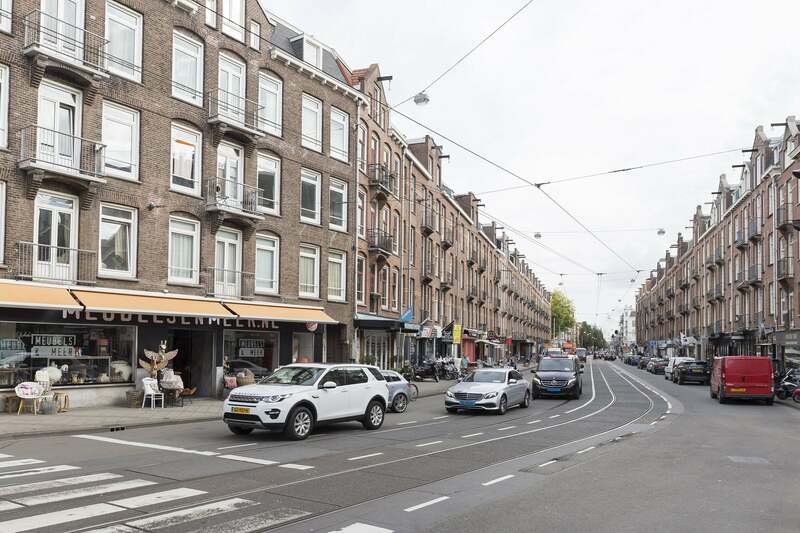 Car owners can enjoy proximity to Amsterdam’s primary A10 ring road, which enables direct admission to all four corners of the capital and beyond. 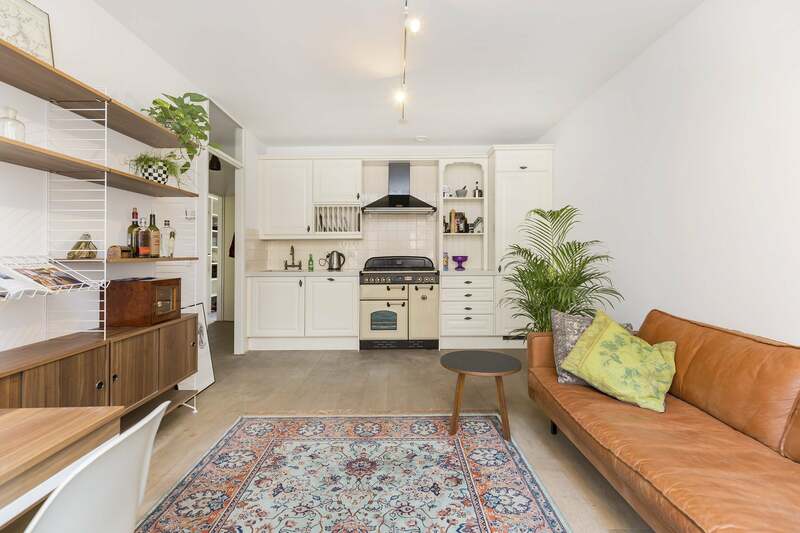 For peace, style and comfort in a great neighbourhood, look no further than this quality city home!